There are 16 replies in this Thread. The last Post ( Feb 17th 2018 ) by EJLarson. When I lived on Santa Fe y Aguero, I discovered Est. General de Cafe on Pueyrredon and Arenales. Their coffee matches any I've had anywhere (and I'm a coffee exagerado from way back). I'm not familiar with the trendy shops in Palermo so can't compare them, but for me, when coffee's as good as it can get, I don't need to look elsewhere. It's expensive, to be sure - very expensive by just about any foreign standard. But as we know, any quality imported good is spendy here, so it's not a surprise. What continues to confound me is that I've never seen the business in any list of Best Coffees in Buenos Aires. That, I don't understand. Edited once, last by EJLarson ( Feb 14th 2018 ). They have several shops around the city. The Portabello beans are the ones I buy. I like a dark roast. The "trendy" shops around Palermo are equally good and about the same pricing. As I am a heavy coffee drinker, I have to keep costs down. I was able to adjust my taste to drink Cabrales Happy (the cheapest of their ground unsugared coffee). Sometimes it comes out half decent, most of the times it doesn't. But I need coffee 50% for the caffeine and 50% for the company of the coffee cup next to me. My current consumption is about 250 g of coffee every 3 weeks. I can't remember the price, I believe it is 340 pesos per kilo. Last decent coffee I had, besides illy in an Illy bar in Mar del Plata, was at Ninita. However prices there have sky rocketed, so I am afraid I won't become a regular. Definitely! I have never seen Lavazza sold at supermarkets here, only Segafredo. In Italy they are both in the low spectrum of the market and they sell a lot only because they are cheap, just like Barilla pasta. Oddly enough, abroad they are staples of Italianity sold as gourmet food. I was thinking about you recently, or better said, about your dog. Here in Argentina there is not much choice as far as dog food go. Argentinian pets eat almost exclusively dried pet food. If yours is on a special diet or eats only canned food, it might be a good idea to start change his diet gradually while you are over there. You cannot bring food in your container shipment, so better arrive prepared. Yes I can feed my dog good quality dry food with raw meat /chicken/veggie supplements....he's pretty easy going with foods. I am beginning to see lost of Cafe Illy about again after an absence of a few years. 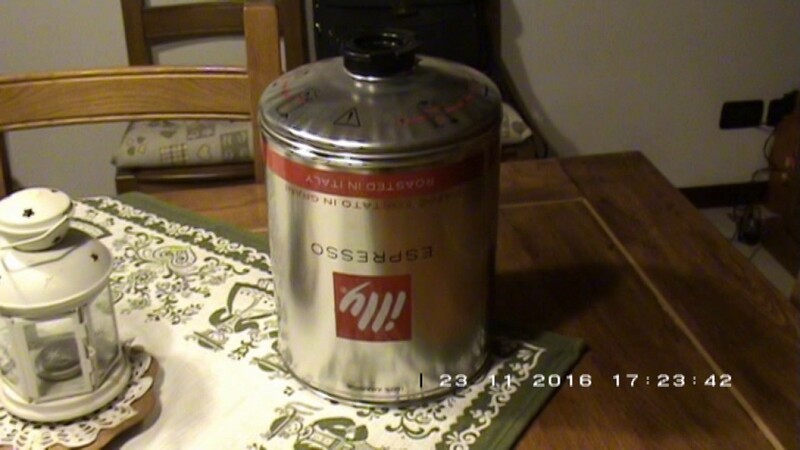 I used to drink Illy at home in Italy, it was the most expensive brand available at supermarkets. My mom still drinks it and I find it unbearably strong now. I have successfully de-italianized myself. One of the last places I worked decided to provide coffee via an automatic Illy machine. The coffee was bad but not so horrible as to be undrinkable (I made my own from whole beans I brought from home and ground in my office). Passing by the Illy when it was being serviced burned an image indelibly into my brain that will never be erased: the serviceperson opened a top door on the machine, pulled out an empty plastic bag and replaced it with a bulging new one. The similarity to a colostomy bag was unmistakable. Edited once, last by EJLarson ( Feb 16th 2018 ). Oh Lordy, I am SO glad to be a lover of tea instead of coffee. EJLarson , your graphic description has burned a hole in my brain. Then I'll keep quiet about how they delivered teabags, then? EJLarson , too much descriptive! I have always seen these cans used in cafes. But I have also never seen an Illy vending machine, yet. These things are hard to take off in Italy. You may find some on train platforms or kioskios, but most Italians actually enjoy to go in a bar and interact with a barista. After much discussion, it looks like Starbucks will be finally arriving in Italy. 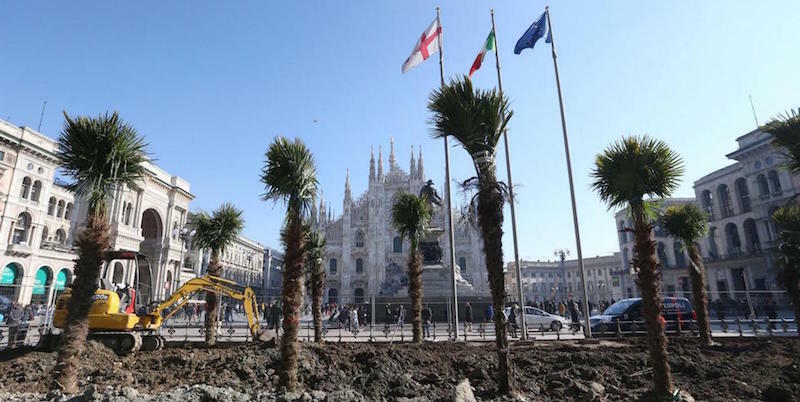 However, they have already made a giant faux pax: last year, to announce they were finally arriving on the Italian market, they decided to announce it installing palms in Piazza del Duomo, Milan's main square. However, they wanted to play the 'surprise' effect and did not reveal that the installation was made by them. Milan's people took it as a sign of the Arabic community taking over Milan and the municipality and the web were outraged about de-italianizing this Italian landmark with plants typical from Africa. The reaction was so strong, that a few days after someone set them on fire! It was only at that point that the CEO of Starbucks Italy stepped up and said it was their marketing idea to announce their operations in the bel paese. Ouch! Bad move. Were the palm trees lost, then, or did they survive the torching? They were promptly removed, regardless of the burnt they suffered. Our Italian experience was quite different. We could not find bean or ground quality coffee in Rome (Via San Quintino area) - just those cursed Nespresso pods! In Sardinia it was worse: couldn't even find bad real coffee. The zombie pods have taken over all of Italy! Help! It's like a plague! Probably just because it is the latest kitchen gadget. I really hate these capsule systems, that coffee hurts your stomach and they are expensive as hell! So expensive that there are even compatible-capsules to compete with Nespresso etc. 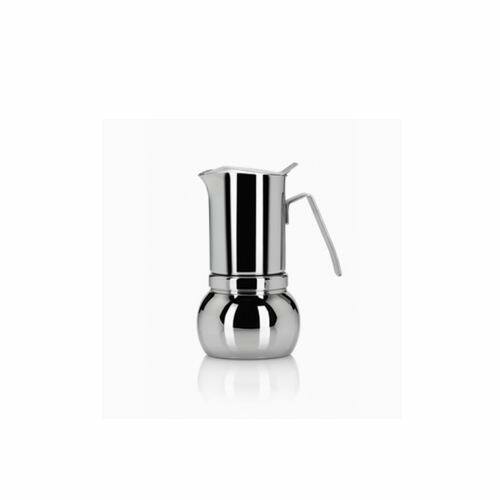 I use my trusty Stealla mokas (2 cups and 6 cups, but I drink it all in both cases).